Many patients desire a perfect smile, and that typically involves straight, white teeth. 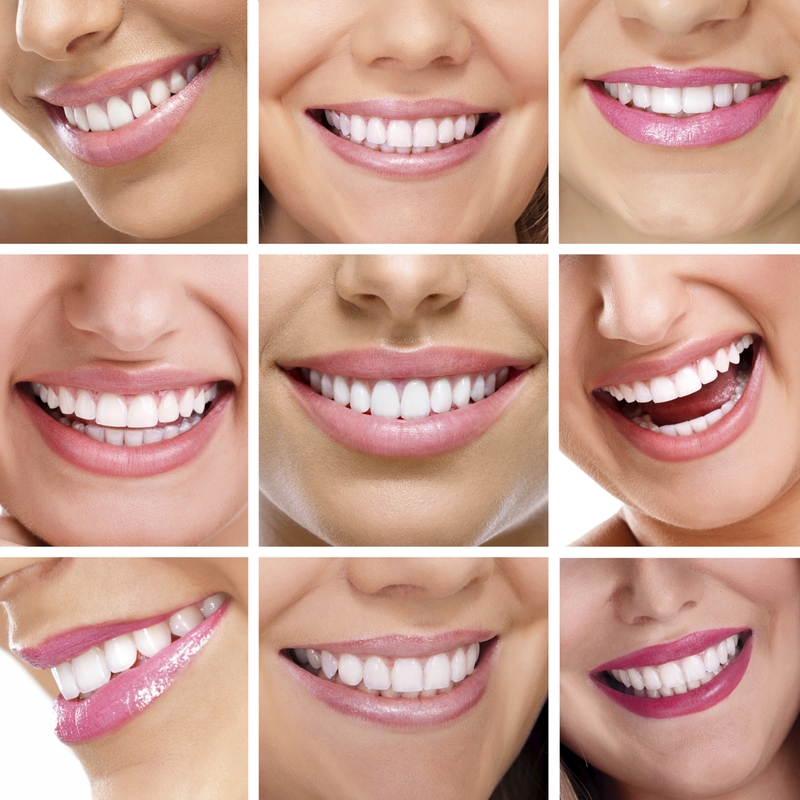 Dr. Rosenbusch offers solutions to obtain your desired smile! This blog entry will focus on the whitening aspect of your smile. Yellow, stained teeth are unattractive and can add years to your appearance. So if you brush, floss and visit your dentist regularly then why are your teeth still discolored? This happens because the outer layers of your teeth get stained over the years by consumption of beverages with caffeine, soda, wine and smoking. Dentists can help not only correct alignment and crowding with orthodontics (braces) and cosmetic dentistry techniques such as veneers and bonding, but can also provide professional whitening. All teeth whitening procedures involve a mild abrasive to remove surface stains, and/or some type of whitening agent such as hydrogen peroxide. Together, the mild abrasive can help remove stains such as coffee or wine, and the whitening agent can help lighten the shade of the rest of the tooth. The level of effectiveness, of over the counter products will depend on how regularly they are used, and how stained the patient’s teeth are to start. In-office whitening tends to be far more effective – the dentist can apply the bleaching agent in very strong doses, and use laser/light/heat for increased effectiveness. In as little as 30 minutes, in office treatments can provide significant whitening, though your dentist can provide multiple procedures for even better results. If you’re interested in whitening your teeth, ask your dentist about services they provide, or over the counter recommendations they may have. Depending on how many shades of lightening you expect, your dentist may recommend certain products or procedures over others, and may recommend professional cleaning or other permanent work before whitening to ensure it’s as effective as possible. We all know your smile is one of the first things people notice about you. If yellow satined teeth aren’t the impression you want to give, contact Dr. Rosenbusch today!